We all go through difficult times—times when we feel like we are a disappointment to God, and certainly a disappointment to ourselves. What do you do with that pain? With this resource, you’ll learn how to turn your pain into purpose, your mess into a message, and your hurt into hope. 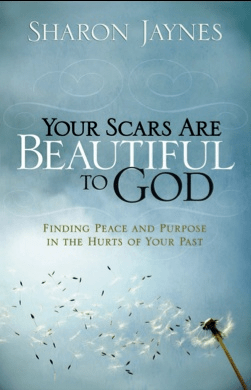 Check out Your Scars are Beautiful to God: Finding Peace and Purpose in the Hurts of Your Past. It also comes with a Bible study guide that is perfect for group or individual study.